Welcome Back for the 2018-19 School Year! We are looking forward to providing an excellent school transportation option for your child for the upcoming school year! We know that your child's school day begins when they step on the bus and receive a personal greeting from their school bus driver. We also know how important a great start is, and we pride ourselves in giving your child a great start and end to every school day. Our Transportation Staff includes a team of outstanding school bus drivers. They are qualified professionals who hold commercial drivers licenses with school bus certifications. They pass regular physicals and random testing, as required by the Arizona Dept. of Transportation, and they receive regular specialized training in the safe operation of a school bus. We conduct twice-daily bus inspections and the fleet receives maintenance and service on a regular, scheduled service rotation. Our Transportation Maintenance Department includes two highly experienced diesel mechanics and a mechanic's assistant, who are proud of the district's excellent inspection and safety record. 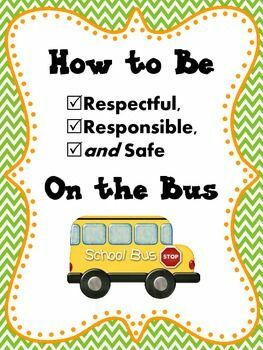 Please help us support your child's safe school bus experience by discussing with them the importance of following the school bus safety rules (please see below). Does your child need a note to ride home with a friend? Yes! Bus riders who are requesting to get off the bus at an alternate stop (for example, a student going home with a friend) must present their signed note to the classroom teacher or office manager for verification prior to boarding the bus. If you need to arrange for regular, ongoing alternate transportation, for example for a two-household family, a caretaker or a grandparent, we can help you. Please contact us in advance so we can be sure we have the necessary information on file, and we will alert your child's bus driver(s) to those changes. Open enrollment students who are requesting district transportation must complete the required release of liability forms located below the bus route links. 749-9640, Monday - Friday, 6:00 a.m. to 4:00 p.m. Please form a line at a safe distance from the curb or highway while waiting for the bus. Use the handrail and each bus step when entering or leaving the bus. Always walk in front of the bus when crossing the street or highway and look both ways before crossing. Give the bus driver a note from your parent/guardian (with a bus slip from your teacher or the school office) to leave the bus at other than your normal stop. Quietly taking your seat helps everyone on the bus. Older students are asked to assist younger pupils. Talking with your friends in a normal voice is acceptable bus behavior. Please address the bus driver only in case of an emergency. Windows will be opened and closed upon the request of the bus driver. Keep head and arms inside the bus and fee on the floor. Drinks in paper containers and classroom treats may be permitted on the bus with the permission of the bus driver. Children must arrange for private transportation when carrying pets and animals to and from school. Each student will assist the driver by placing litter in a place designated by the driver. The updated bus route schedules are now posted for the remainder of the 2018-19 school year! Please be sure to check back for special schedules for early release and/or late start (EGJH/TVHS only) days. The January 15th District-Wide Special PD route schedules will be posted on or before January 8, 2019.